Google's smart replies have shown up in a few apps including Inbox (the original), Gmail, and Allo. Now, this handy feature has arrived in the Android Messages app. However, it's not for everyone. This is a feature for Project Fi subscribers only. Those among you who use Fi might be thinking you've already seen this. Maybe you've even had it for several months. Indeed, some of you have. This is an example of Google's extended unannounced testing—classic Google. 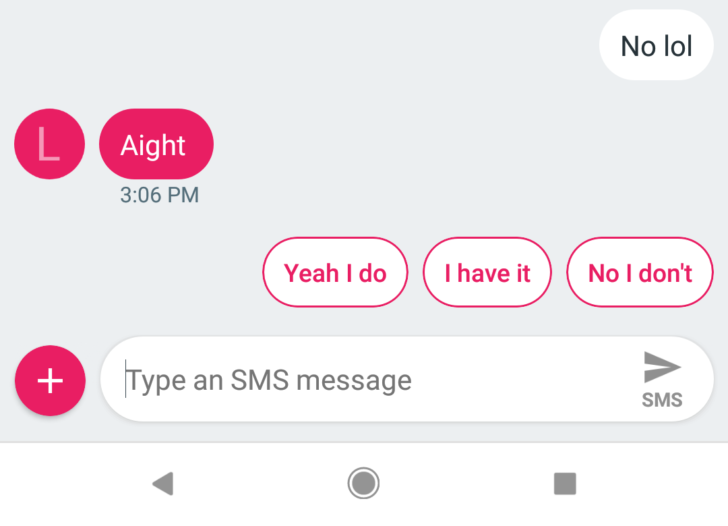 Now, smart replies in Android Messages is an official feature. You need to use the Google app to get the smart replies, but it should be automatic. It'd be nice to get this on other carriers via the Messages app as well. Fingers crossed.